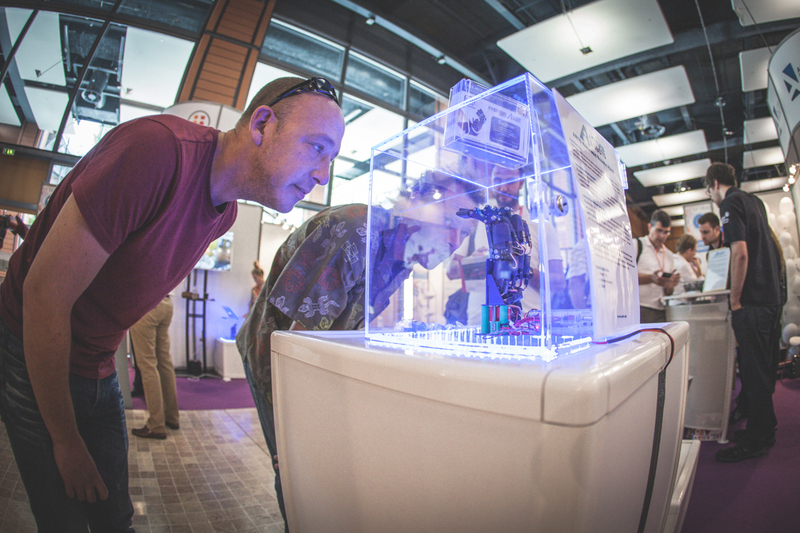 We had a great time this year at InnoRobo and we had lots of interest in our new products. The AR10 Humanoid Hand and Surveyor Robot were crowd favourites with numerous people taking the time to stop by our stand and talk to us. 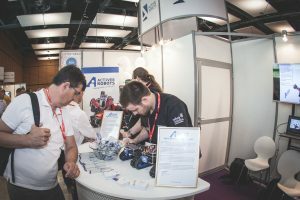 We had lots of people on our stand coming to look at the new AR10 Humanoid Robot Hand and also the Surveyor Robot proved popular with lots of people connecting to it with their smartphones and taking it for a drive, good job we brought 3 along! 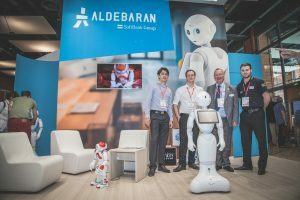 Aldebaran brought Pepper along to InnoRobo, after selling 1000 units in Japan in less than a minute it was sure to be popular but we managed to sneak a photo with Pepper along with Michael and Adrien from Aldebaran. 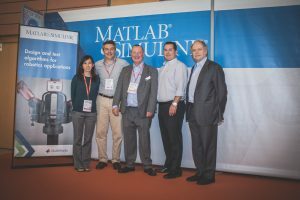 Mathworks announced at InnoRobo that the MatLab ROS Robot Systems Toolbox will be unveiled in the UK on the 7th October at the 2015 MatLab Expo at Silverstone, Northamptonshire. This toolbox will create a whole new synergy between Baxter and MatLab to bring a whole range of subjects to life. 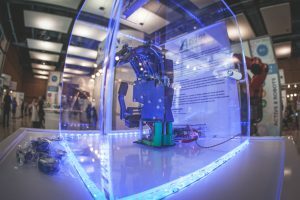 Rethink Robotics also announced the impending release of a series of curriculum content for Baxter in the areas of Robotics, Kinematics and Computer Vision. This open source curriculum will be free to access and use by all Baxter robot users and will be hosted as part of the existing Baxter community through the online Wiki pages. Curriculum is set to include lecture notes, handouts, practical tasks and examples of student projects to really get Baxter up and running straight out of the box. 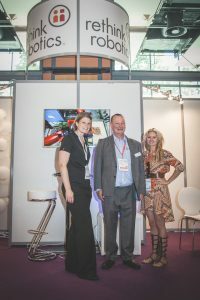 We’re looking forward to InnoRobo 2016 and also to our next show, IROS 2015 in Hamburg from 28th September – 2nd October.